The site at 644-646 Mountain Highway. The sale of a development site along the Mountain Highway at Bayswater indicates there is a "steadfast demand for sites with strong development potential" in Melbourne's east, according to Savills. 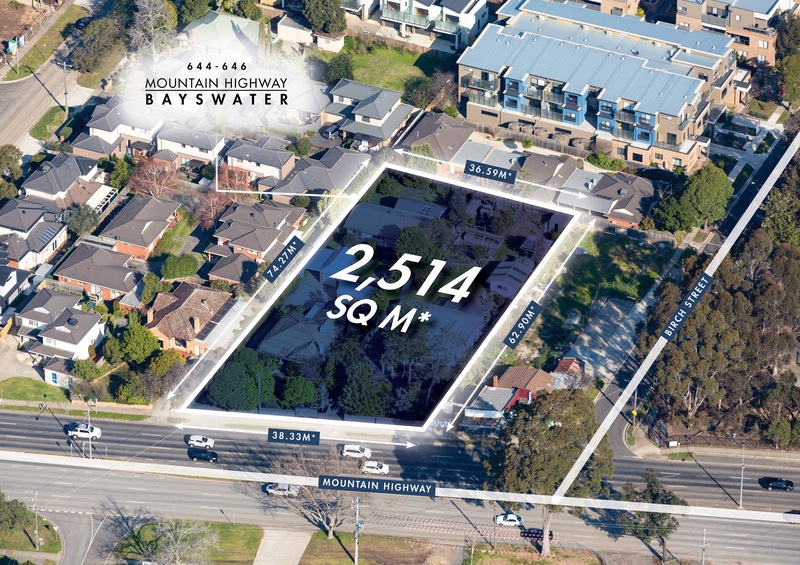 Offered with vacant possession, 644-646 Mountain Highway consists of 2514 square metres of consolidated landholding with 38 metres of street frontage. A local private land group sold the site for an undisclosed amount last month, following a sales campaign by Savills agents Mingxuan Li (Senior Executive), Julian Heatherich (Director), and Glenn Ye (Senior Executive). Development site at 644-646 Mountain Highway sold for an undisclosed amount last month. Poperty includes 2514 square metres of consolidated land holding with 38 metres of street frontage. Sale conducted through Savills agents Mingxuan Li (Senior Executive), Julian Heatherich (Director), and Glenn Ye (Senior Executive). Mr Li told WILLIAMS MEDIA there was no shortage of inquiries for the site, which offers the potential for multiple development outcomes including apartments, townhouses and child care (STCA). "Savills Melbourne was able to generate significant interest in the property through our Asian Services capability, with multiple offers received via our market leading developer database and direct targeting to known buyers," he said. "It culminated in an incredibly strong result for our client."